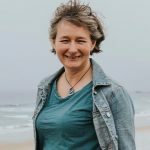 Lynne is Jack Somerville Lecturer in Pastoral Theology at Otago University; and Co-leader of Student Soul (a Presbyterian tertiary student congregation). She teaches in the areas of chaplaincy, pastoral care and contemporary Christian witness. Her research interests include faith formation; spirituality and wellbeing; and congregational studies. Lynne is married to Steve (Principal at Knox Centre for Ministry and Leadership which is responsible for the formation and ongoing education of Presbyterian ministers and church leaders ), and they have two daughters, both studying at Otago University. She enjoys coffee, creativity, the beach and sunrises. Sharon has worked in the role of Director of the Presbyterian Church Schools’ Resource Office since 2014. Prior to that she served as a parish minister in congregations in Auckland and Wellington and, for a brief time, as Chaplain at St Oran’s College in Lower Hutt. She is married to Brian, a palliative care specialist and they have two young adult children. Sharon and Brian are in the process of moving from Wellington to Kirkiriroa (Hamilton) where Brian will be Medical Director at Hospice Waikato. 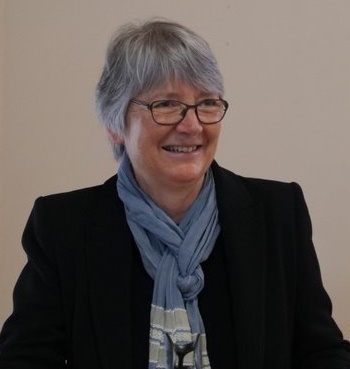 In her presentation Sharon will explore the Christian ethos and Presbyterian/Reformed tradition which lie at the heart of our schools, looking at how the things of prime value to Presbyterians can deepen and enrich their life. Building a sustainable future in a warming world – what should we all be planning for? Gary is Professor of Marine Science at the University of Otago in New Zealand and Director of the Southern Ocean Marine Institute. He is a former Director of the New Zealand Antarctic Research Institute and Chief Scientist for the New Zealand Antarctic programme. He has also held lectureships and research positions at the University of Oxford in the UK and at The Ohio State University in the USA. He is a veteran of Antarctic Research with more than 1000 days spent on the Frozen continent over 25 summers. His motivation has been to understand how Antarctica’s ice sheets will respond as the Earth warms before we are committed to the potential consequences. Gary’s work has taken him from the stormy southern ocean, in boats that sometime seem far too small to be there, all the way to the South Pole. In Antarctica, he has spent many months camping and leading teams of researchers in some of the World’s most remote and cold places. In 2006 he received a Sir Peter Blake award for his leadership of international Antarctic Expeditions. For nearly 30 years, he has been at the forefront of understanding what led to melting of Antarctica’s ice sheets when Earth was last subject to present levels of carbon dioxide in the atmosphere. 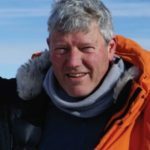 He has authored more than 100 scientific papers on the topic and he is New Zealand’s delegate to the International Scientific Committee on Antarctic Research.